The Marbrisa Rectangular Leg Dining Table by Coaster is available in the area from Coaster. 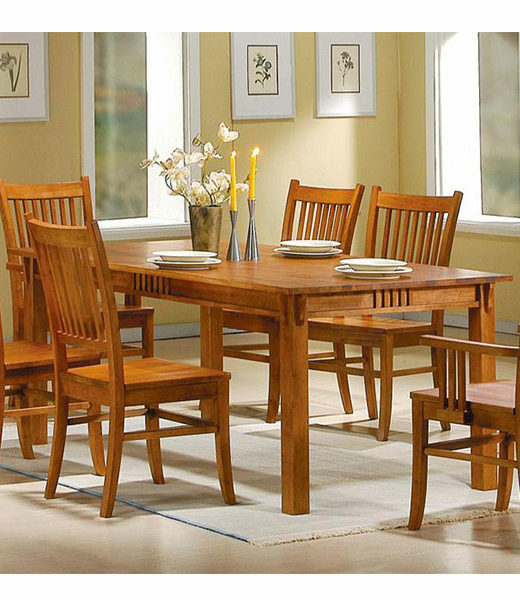 The Marbrisa dining Table features traditional mission style, made of solid hardwood either a warm Medium Brown finish. A large rectangular leg table and slat back chairs create the perfect dining set, while the dining room storage pieces feature plenty of versatile storage space. 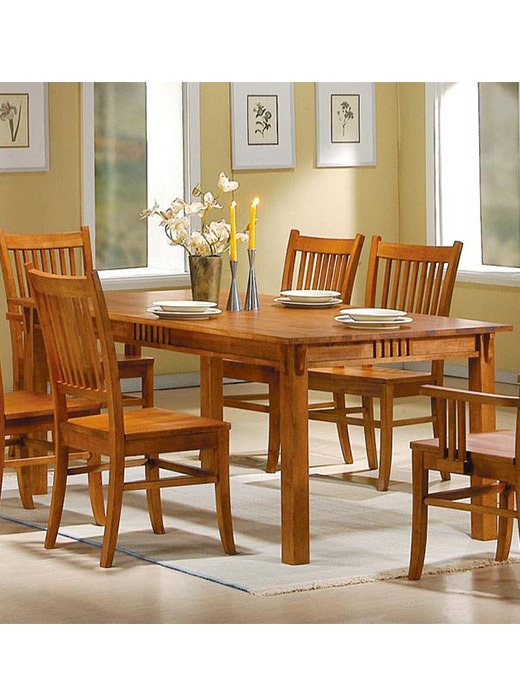 Create a rustic mission style in your home with this wonderful dining room set. Finish & Paint Options Medium Brown or dark Cappuccino finish. Case Detail Straight legs and edges, mission style.